Every morning, the high school students in the school I teach in have Morning Socratic Devotions (MSD), where they, divided into small multi-year level groups, open up a devotional and their Bibles (each has one of each) and dissect the entry for the day. Led by a senior student, each small group discusses the topic at hand, with the senior using his/her facilitation skills to encourage participation and enhance learning. The topic yesterday was about revenge, and the discussions that I observed went the distance (each teacher looks after–but doesn’t participate in–one group), as each student reminisced, with more than a tinge of regret, about times when they were wronged and then took the matters into their own hands…which resulted in nothing but making the situation a lot messier. The MSD did a great job in bringing the message home into their hearts, as their journal entrees showed. The lesson brings me back to an article I wrote several years ago about a friend who was about to lash out at someone from her past. If you struggle with this, and I’m sure many of us do, then allow my article to speak volumes into your heart as well. Enjoy! I recently tried to calm down a friend who was very upset with an ex boyfriend. He wronged her very badly (in her eyes, at least) and she was good and ready to lash out at him. As I’ve been saying in past articles, the Bible is the single best source of wisdom you can have, and I used it heavily in my efforts to stop her from doing things she might regret later. Were you in a similar situation where you wanted to lash out at someone who wronged you? If so, try reading Romans 12: 17-21 and I’ll dissect the passage verse for verse for you. The first part is lesson enough in itself. Paying evil for evil doesn’t erase, it adds. 1 evil action + 1 evil action = 2 evil actions. Now read the second part again. When you have retaliation in your mind, do you take into account to “do what is right in the eyes of everybody”? One villain is enough in this story, would hate to have two. First part is self-explanatory. It doesn’t mean that you become a human doormat, but it means that when problems arise, you solve it in a way that peace is returned. The second part will also come true if you allow it in faith. Sometimes you just gotta step aside and let the Lord do His work in people’s hearts, especially if they’re a tough nut to crack. You will not repay, the Lord will…if you let Him (keyword “if”). I told my friend that if she turned around and used this tactic the Lord will make him so plagued with guilt that he would have to have a change of heart, which will transform him into a better person. Killing someone with kindness, I guess. Not only does it work, relationships are also restored. It’s easy to be overcome by someone’s malevolent actions and “give him a taste of his own medicine”, but that’s not the right way to do it, according to the Bible. So choose to “overcome evil with good”. Evil + evil = more evil and a bitter aftertaste. Evil + good = peace. And don’t say you have no choice, you always have a choice. I would like to give you another verse: “Get rid of all bitterness, rage and anger, brawling and slander, along with every form of malice. Be kind and compassionate to one another, forgiving each other, just as in Christ God forgave you.” (Eph 4:31-32, NIV). So have you been wronged? Just close your eyes for a moment and ask God to give you the grace to forgive that person and even wish him well…and mean it. I bet you, all burdens will just fly away. Woosh! I’d like to get your thoughts and/or experiences on this matter. Your comments are most welcome. For those of you who don’t know, I’m a Literature and Humanities teacher in one of the private high schools in the area. In the curriculum, the students read about 9 to 10 novels a year; but other than the usual classics that are covered in Literature programs, I have also included books that are designed to make them better individuals. 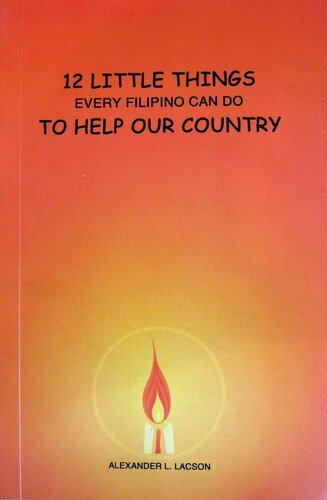 One such book is “12 Little Things Every Filipino Can Do To Help Our Country” by Alex Lacson. 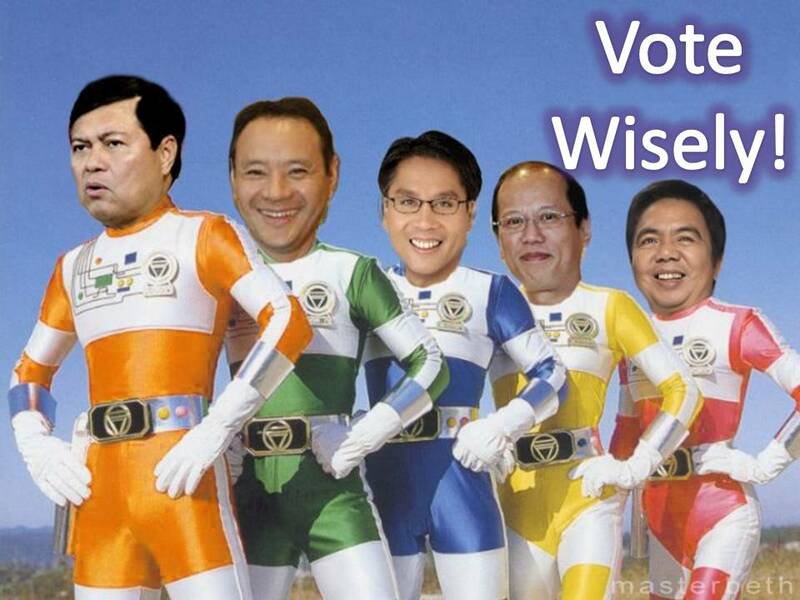 Mr. Lacson noticed that we Pinoys are a rather unpatriotic lot. We reject our local products in favor of imported ones; we don’t pay our taxes; we put down our country in jokes and in conversations with foreigners; the foreign embassies are always full; heck, the most popular course in college is one that gets us out of the country. Long story short, he wrote a book in an effort to goad each of his countrymen into believing in his struggling country again and to take action to helping the Philippines out. He split this effort into, you guessed it, twelve chapters, each one tackling a specific action that we can do to help the Philippines. Chapter 3 of the book is about buying locally-made products. I felt quite strongly for this one, as I grew up in America, where, when I lived there, there was a strong “Buy American!” campaign; and I’ve seen first hand how South Koreans will not patronize anything else but their own products. It frustrates me to no end why we refuse be like that, and are quite the polar opposite of it. In fact, for one of my introductory reflection assignments for that chapter, one student summed up what the whole class, and probably the whole nation, felt about our homegrown goods: “I don’t use Filipino products to the point that I don’t even know what they are.” Wow. So my assignment for this chapter went like this: for one week (which I now regret, I think it should be longer) they will buy and use only Filipino made products and replace the imported products they use everyday with them. At the end of the experiment, they write an essay on how it went. There were a few groans, but being good kids, they went through with it. A week has passed and in come the essays. I found some humor in what some of them said (“this was my first time eating a Champ”) but all in all I, with a very serious heart, really poured through them, hoping that the results would be something positive for the Philippines. 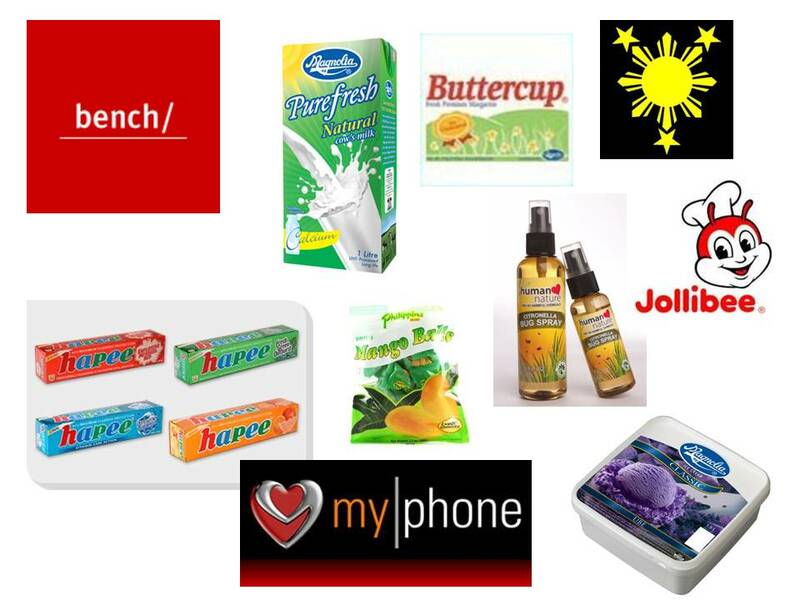 The more common product switches were: Hapee for Colgate; Magnolia butter for Anchor; Artwork, Penshoppe on any other local brand for Guess and its ilk; Piatos for Doritos; no McDonalds or any other international fast food chain, but Jollibee, Greenwich and the others instead; local jams/spreads instead of Smuckers; Nips for M&M’s; and many more. The verdict? For the vast majority of the products, there was very little to no noticeable difference in quality. The students were a bit surprised by this, and as a result of this assignment they also wonder why we as a nation turn up our noses on the things we make, when the quality isn’t that bad. Many are now very willing to make the switch for good and will encourage their parents to do so, too. Well, I’m posting this news here because I’d like to challenge the readership of this site to do the same. Why not make a conscious decision to replace the imports that we love so much with local equivalents? You may be as surprised as my students were. I my opinion, Swiss Miss has nothing on our native tsokolate drink. I use Hapee for my toothpaste. I use, and vastly prefer, Human Heart Nature instead of OFF! for mosquito protection. I haven’t ordered from any fast food other than Jollibee and Chow King this year so far. I buy local snacks for the kids (in fact, I prefer the barquillos and otap to the chips). 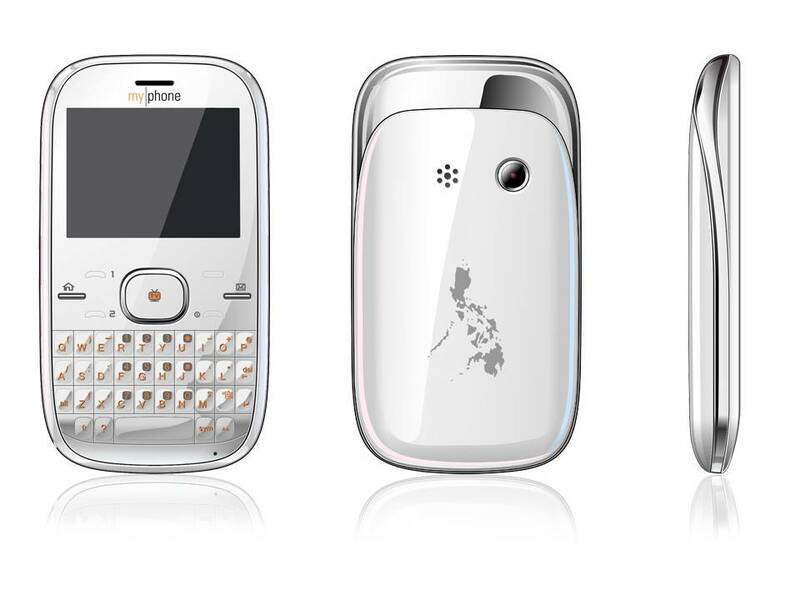 Heck, this has affected me to the point that I have sold my Nokia phone and bought myself a dual-sim model from the Philippines’ first mobile phone brand, My|Phone. Yup, I’ve gone Pinoy…and I wouldn’t have it any other way. 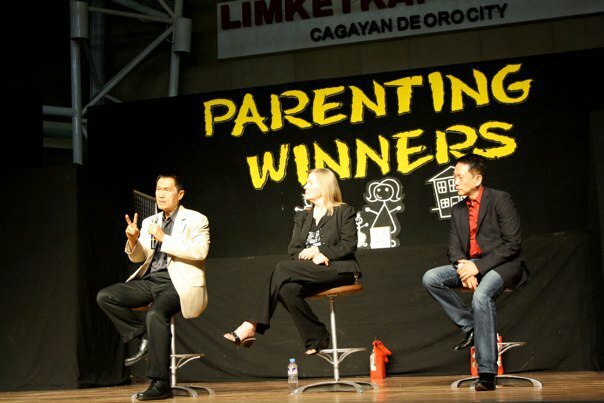 And for the PARENTING WINNERS talk that was recently concluded on December 4, 2010, so I shall. God did it again! He used Francis Kong’s amazing motivational gifts and Peter Tan Chi’s fantastic content and turned PARENTING WINNERS into a once in a lifetime event . To say that people were blessed by what He has done through these two powerful men would be a criminal understatement. 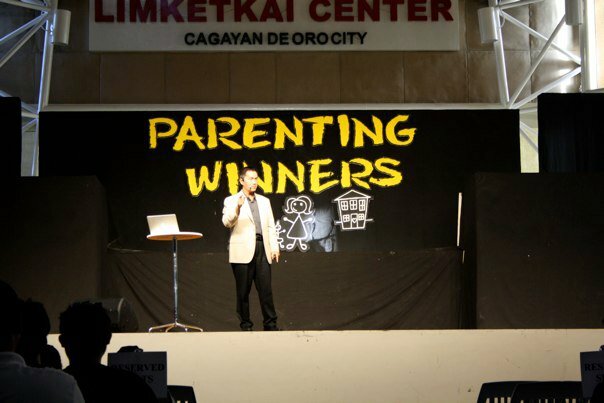 A little over 3,000 people packed the Limketkai Atrium to listen to the nation’s very best speakers give their parenting experiences and principles. Francis Kong was funny and inspirational as always. He talked about his experiences as a dad of three winners and as his experiences as a motivational speaker in many fields. Some of the info reflected the sad fact that many parents in this country do a dismal job in raising up their kids. I was especially taken by his experiences when he was speaking in schools filled with students who struggled with shocking issues and misplaced values. Below is a sample of his talk that highlights this. However, also excellent, and the highlight of the event for many people, was the portion of Peter Tan Chi. If Francis Kong was the comedian and motivator extraordinaire, then his mentor was the consummate content speaker who spoke with so much authority and wisdom that you can’t help but be blown away and mutter superlatives to yourself (this is not to say that Mr. Kong was weak on content or that Mr. Tan Chi was not funny; they both had all these traits in spades). But that’s what you’d from the Senior Pastor of one of the most successful churches in the Philippines, and the father of five ridiculously achieving children. I obviously don’t have the time and the space here to summarize what Mr. Tan Chi covered with each letter. It won’t do the talk justice, anyway. When the DVD is completed, I’ll post more clips. Well, I hope you took heed of my invitations on this site and went to PARENTING WINNERS. I’m not sure if we will be blessed with a Kong/Tan Chi tandem ever again. One thing I do know, the future of this country is very dependent on how well we raise our kids now, and so I’d advise you to take advantage of every seminar like this. There would be many parenting-based activities that are coming in 2011, and I will inform you about them here. Stay tuned, and comments are welcome. As I write this, it’s nearly 3 AM Christmas morning. We just threw one heck of a party (that honored the Celebrant, of course…no drinking or debauchery.) and wifey is out cold while the kids are still getting themselves to sleep. 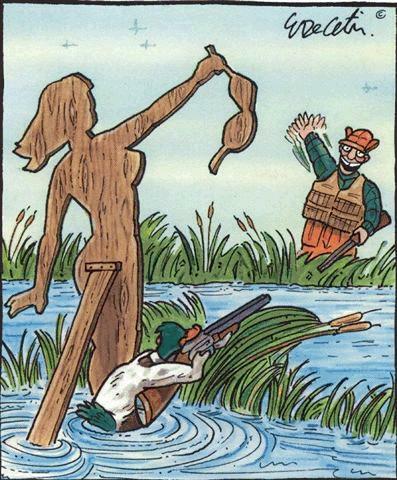 Before I’m out for the night…er, morning; I’d like to thank you all for visiting my page. Your visits, and especially your comments, truly make my day, and I hope I can continue to write articles on parenting, faith, and the everyday life of a family living in CDO with the frequency that I’ve been doing every since I started here. Merry Christmas, everyone. I’d like to leave you with a very nice video. Would you like to know what would happen if Facebook was around during Mary and Joseph’s time? Well, enjoy…and may the Reason for the Season richly dwell in your hearts! 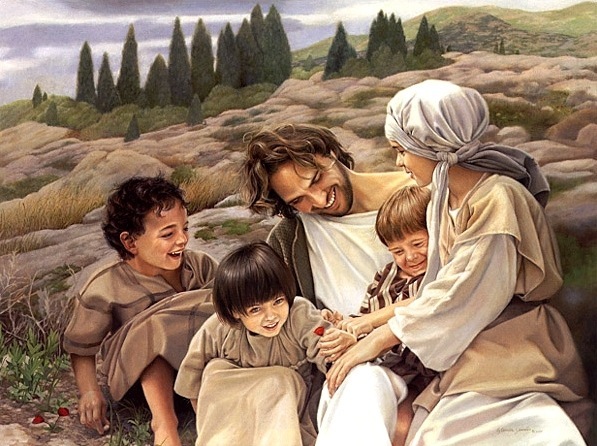 She told of the very familiar scene, mentioned at least three times in the Bible, where Jesus was speaking to a crowd, and there were parents in the audience who wanted to bring their kids to meet Jesus so that He could bless them. But the disciples, who I guess were concerned that doing so would waste their Master’s valuable time, stopped them in their tracks. Here’s the story, as told in Mark 10: 13-16. The trainer’s challenge was this: if we don’t pay attention to our Children’s Ministry; if we don’t give our absolute best effort for these kids week in and week out; then aren’t we doing the exact same thing that the disciples were doing? We’re hindering the children from being blessed by Christ! Wow. I never thought of it that way. I’ll have to admit, I didn’t look forward to my stint as a Sunday school teacher, and I’m sure there were others who feel the same way. But man, if my rotten attitude made me a hindrance that kept these young souls from being blessed by Christ, then shame on me. What made this even bigger was that when the disciples got in the way of the children, Jesus was indignant. Do you know what that means? Encarta’s definition is: “angry at the apparent unfairness of something.” So if your church doesn’t pay much attention to its children’s ministry, or worse, doesn’t have a children’s ministry at all…we are making Him indignant. I love Christ too much to knowingly disappoint him so greatly. If bringing children to our Lord was so important for Him then; then we, as His hands and feet, should consider it equally as important now. Well, I now, even if I have to miss our powerful Sunday messages for a month, look forward to my turn with the kids. CCF’s bench of volunteers has grown so huge that my group and I only have to do this once a year (Yay! Oh, I mean, awwww! ), but we still get involved during special times of the year…and this is one of those times. I was placed to be in charge of the 6-8 y.o. class’ Christmas presentation. 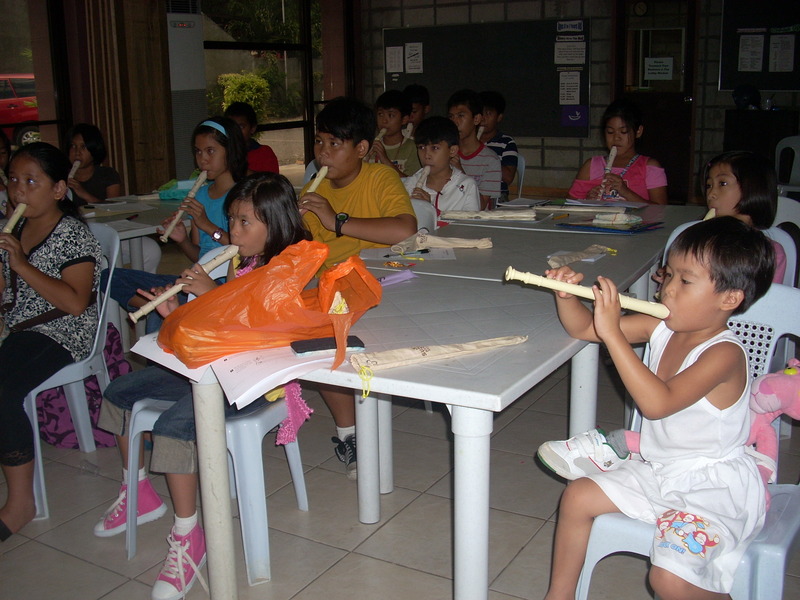 This is the youngest class I’ve ever held, and boy did I get a culture shock. I usually handle the 10-12 class, and they’re very behaved and mature. But these guys…wow, I was putting more effort in quieting them down than instructing. But I’m very excited for our presentation. I’ve been staying up late getting it ready…and I think, Lord be praised, it’s going to be grrrreat! I can’t give details on what I’m cooking up (people will kill me if I give spoilers), but I’m so excited that I can’t help but give you one song I’m using for one half of the presentation. It’s Strange Way to Save the World, a beautiful song by Jump5. I heard it first from my eldest daughter because she has their CD, but I’m sure you hear it on the Christian radio at this time of the year (103.3FM). Below is a vid from youtube featuring the song with its beautiful lyrics. For the rest of the presentation, I am hoping to use my goofy sense of humor and the cuteness of these kids to make something really special. I can’t give more details than that…you’ll just have to see it for yourself. December 26: young couples (including my group); kids 3-5 (Happy, my youngest, is in this one, with my wife teaching the song/dance). If you’d like to come watch the performances and to get to know our culture a little bit, we’d be happy to welcome you to CCF. The church is located at Papa Juanito’s Square, just across the street from Robinson’s car park entrance. The performances would be on the 10AM services. I’d now like to show you some of the presentations done in the past. Enjoy. A mime presentation of “We Are The Reason,” Christmas Party 2008. Lynn was in this one…somewhere. Sunday School 3-5 class song, “Be Brave, Be Strong,” Mother’s Day (?) 2009. Happy is the little guy in Maroon. Sunday School 8-9 and 10-12 classes singing “He Knows My Name.” Father’s Day 2010 or 2009. Lynn and Mesoo are both here. 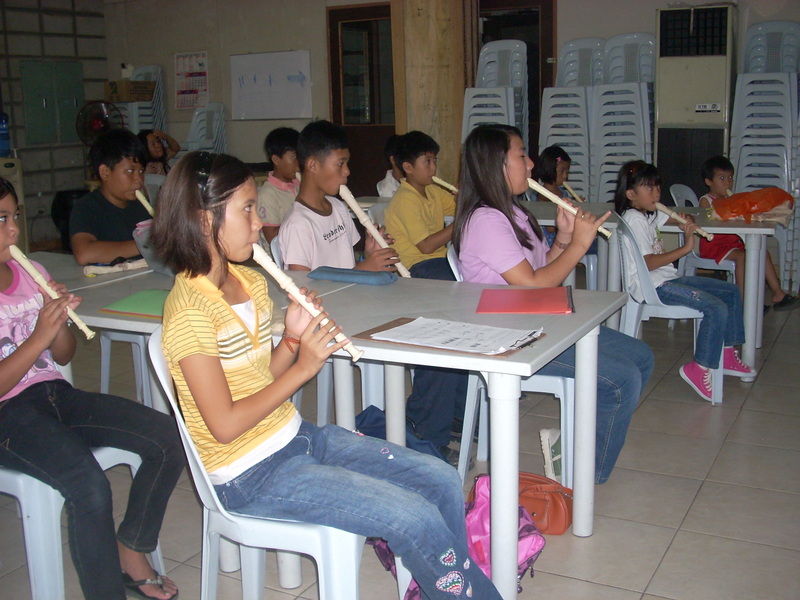 Practice of the kids who volunteered to play the flute for Mother’s Day 2010. Lessons were free. All three of my kids were participants. So true, isn’t it? That’s why it’s so, so, SO important that we train ourselves as parents whenever possible. 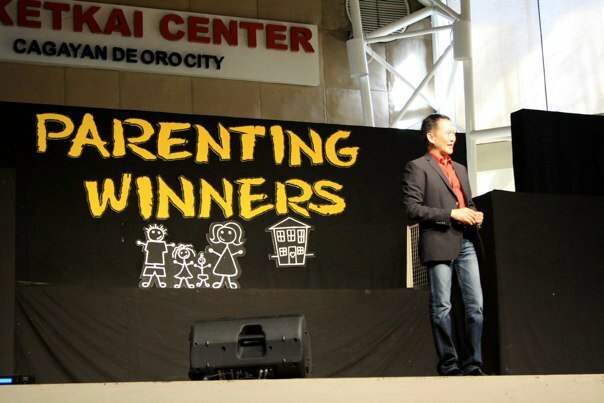 Again, I would like to encourage you, beg you even, to attend the December 4 parenting talk by two of Asia’s best motivational speakers, Francis Kong and Peter Tan Chi. It’s at the Limketkai Atrium, 2-6pm. PARENTING WINNERS is already next weekend, and it is my hope that you already have your tickets for it. It’s been sold out in the school I work for, but maybe you can ask Rotary or the school your child attends if there’s still any more. Truly, I would love to see you there. Anyone can father a child, but rarely do men truly father. I don’t think I’ve arrived yet, but if it weren’t for the equipping I get from events like these, I’d be much worse off than I am now. 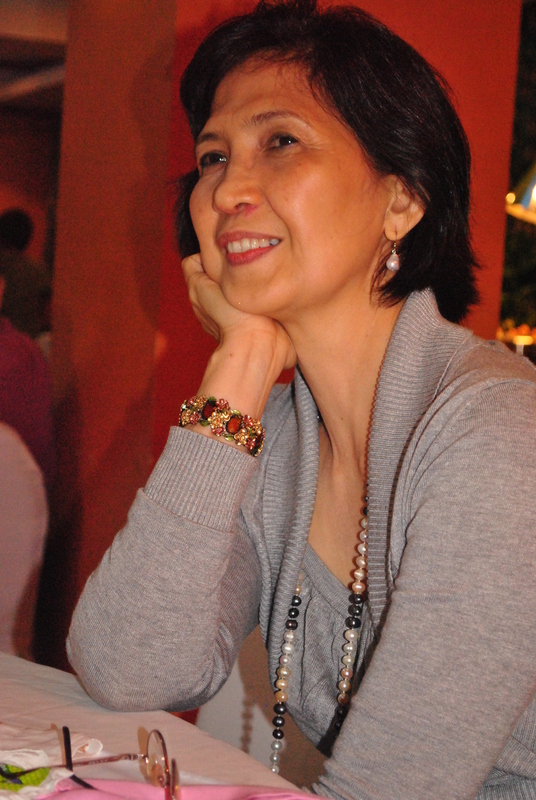 My mom turned 60 last Saturday, May 29, 2010. She usually doesn’t celebrate birthdays, but this just had to be an exception. She reached the big six-oh, and it’s her first birthday in nearly four decades without my dad around. Although we had little of both treasures and time, we absolutely had to make sure that the birthday would be special. And it was. The outpouring of love was overwhelming. Nearly one hundred people came. Her co-workers, family, friends, church friends and her Discipleship Group…so many honored my mom with their attendance and participation. There were hilarious games, lively song numbers (several from her eldest granddaughter), and testimonies from people who she has blessed. And indeed, I realize even more strongly now how she has blessed so many people. She was, and continues to be, a mentor and a councilor par excellence. Many of the people giving their testimony broke down, most especially my wife, a woman whom, as a mother-in-law, she has given so much love and grace. If there’s ever a person who can testify on how the Lord uses my mom to bring out the best in others, it’s Jhean. The event once again shows that people are honored not on the size of their bank accounts, or job position, or accomplishments, or how they look, or how many toys they have. What really counts is how one invests in and blesses others. I’ve seen that so many times, and I saw it again last Saturday. My mom was floored by such a great outpouring of love…and it’s because of how she touched their lives. Below is a video that a family friend (one of the women that mom has discipled) made in her honor. Below that is the transcript of the speech that I gave to my mom that night. I hope you enjoy both. First of all, I thank you for coming tonight. You truly honor my mom with your presence. So many areas in mom’s life are represented here. This evening, I see family, church mates, co-workers…so many people who have blessed mom with friendship and company, and I hope she has blessed their lives as well. I’m pretty sure she has, though. You see, through the years I’ve heard many superlatives about my mom: everything from her being beautiful, to being the best boss some people have ever had, to having such a great disposition, and all that…you’ve heard them here earlier this evening. My mom’s relationship with God is, to me, the true reason why she is so admired, most likely because it is the source of it. This vertical relationship has had a profound effect her outlook on life. People around her say that she’s a very positive person, has a definite grace under pressure, and is rarely, if ever angry and rattled. More than once, people have come up to her and said, in bewilderment, “There’s something very different about you.” It’s not as if she’s had a problem free life. Two out-of-the-country moves, changes in career, raising a stubborn only child who has been hospitalized several times, deaths of loved ones…and the basic problems that go on in life. The trials were definitely there. But I always see my mom shine above them, not because she’s headstrong, but because she’s surrendered. For I know the plans I have for you,” declares the LORD, “plans to prosper you and not to harm you, plans to give you hope and a future. (Jer. 29:11-12, NIV). None of us knows what the future holds, but we can know who holds the future. And know him in a personal way like she does. This vertical relationship has also affected her horizontal relationships. She has a very forgiving spirit. She needed that, bringing up somebody like me…but truly, she’s one of the most forgiving people I know. I’m beginning to realize that she’s like that because she has been forgiven, herself. She gives grace, because she has received it. Those of us who have been on the receiving end of this forgiveness should also display it to others. Isn’t it silly to have a Father in heaven who has forgiven us of all our sins but then we hold grudges against the next guy? She also gets along with everyone. I’ve never heard of her getting involved in office politics, gossip, or any other backbiting activity. This is also biblical, where it says repeatedly that you have to live in peace with everyone and be motivated by love. Many of you here know her as mentor, and Jhean and I are very familiar with that role of hers. Whenever my wife needs guidance, she first runs to my mom, because for sure she would get solid, biblical advice that is correct just about every time. There are only a handful of women who can give advice as good as she does. 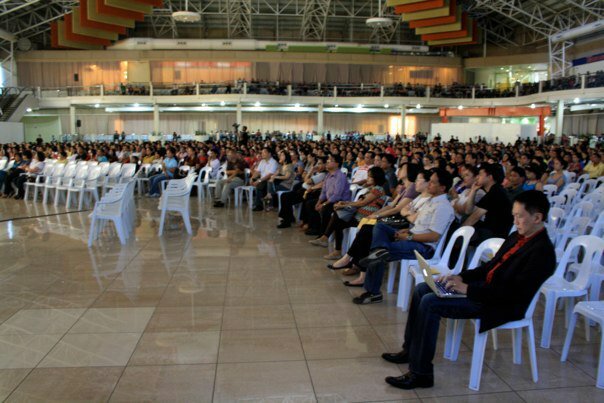 In fact, I remember many years ago when CCF held a one day women’s conference. There were four keynote speakers for that event, here are the first three: Ann Barrameda, Blessie Melicor, and Peachy Cacanando. Now, you know them as wives of ministers, right? Well, the fourth is an exception to that…and she was my mom. And some of the attendees called the foursome the Dream Team. Truly, when mom is asked to speak on anything, especially on spiritual things, she delivers…powerfully. Another thing great about my mom is that she’s quite patriotic. I remember when we were living in the states, and she saw that me and many of my peers were running the risk of losing our identity as Filipinos and instead becoming brown skinned Americans. She spearheaded a movement in the local Filipino association to hold a Philippine cultural show in order to get us immersed in the culture of our homeland. The reason why I use Filipino products whenever possible is because if her influence. Finally, related to her simplicity is her servant’s heart. She’s a great leader because she leads by serving. Nothing is more inspiring than a leader who is willing to go down to the trenches along side you. Also, few leaders are as nurturing and approachable as she is, as she often wants to make sure that even her staff’s lives outside the office are in order. Many of you can vouch for that I’m sure. I can vouch of this as her role today, as a mother of a married son. As a mother and mother in law, she initiates and gives advice, but she never controls or becomes overbearing. And many of you can vouch how she loves to serve the Lord. I remember she was involved in the women’s ministry, in her D Group, the street kids ministry, the DSWD battered women ministry, children’s ministry, even in some of the admin work. Right now, her D Group is handling the children’s ministry for the month of June, and mom is doing an excellent job as one of the teachers of the 10-12 year old class, at least that’s according to the teacher’s pet, her eldest granddaughter. In fact, if there’s a source of frustration in her life right now, it’s that she’s not able to be a spiritual influence as much as she wants to, as much as she used to. God seems to be teaching her how to be patient, even if it’s for His Kingdom work. But I’m sure, mom, this dry period will end and one day you’ll be able to serve Him once again with gusto. Well, I’ve said quite a mouthful. So, mom, 60 years have passed, and it’s been one great ride. I’ve placed you quite on a pedestal in the last few minutes, but I know you have your own faults. Everybody does. You’re not perfect…even better, you’re forgiven, and thank you for passing the source of that forgiveness to me and the rest of your family. I would like to end with excerpts of Proverbs 31. Many of you are familiar with these verses, but I’d like to read them as someone who is proud to be a son of a mother who exemplifies them more than just about any other woman I know. Well, I hope this party is a good enough reward, but I’m sure it’s nothing to the rewards waiting for you. Happy 60th birthday, mom. May you continue to be used by God for his glory. If you want to see pictures of the event, click here. I was torn between doing a Mother’s Day blog to honor both my mother and the mother of my children (both very deserving of the glowing written piece I had in mind), or a blog as a citizen of a country that is on the verge of undergoing a great change in governance. I was leaning towards the former, since Jhean and I are not voting in this election (long and very frustrating story) and we were quite involved in the Mother’s Day prep for our church. But the message of Pastor Peter Tanchi, our senior pastor and in my opinion one of the best Christian speakers in the country, was so good that I decided to do the latter. The message was so, so, so spot on. I’m going to try (keyword: try…I’m nowhere near Pastor Peter) to transfer his message to this blog. Well, we Filipinos have a huge role to play today. Unfortunately, as mentioned earlier, circumstances dictate that the family wouldn’t be able to vote, which is such a shame because we have very strong opinions about our choices for both the local and national elections. All we can do is give vocal support (“molar support,” as they humorously say in these parts). But boy, is today’s decision important. The bible even says so, as you can see with the verse that I used to start this blog. But after all the dust settles and this country’s new leader is chosen, what’s next? We just go on our merry, irresponsible, get-me-to-the-US-embassy-quick ways? Or are we to do a task that’s bigger, much bigger, than submitting a ballot? Pastor Peter proposes that voting today is just one of the many duties as a citizen. There’s much more to be done. One thing we should do is to be a good example. In the case of the aftermath of the elections, it’s to respect and cooperate with whoever wins. A member of my d-group and a dear friend of the family put it well. She posted her personal prayer as a Facebook status message the read something like (this is far from verbatim), “Lord, I have my bet, but I am willing to submit myself to whoever You put in office.” Beautiful. But you may object and say, “But our government is so corrupt! Am I supposed to submit to something so horrid?” Well, who was in power when this verse was written? It was the Romans, who ruled over the Jewish people, destroyed the temple, kept the audience of the book of Romans as slaves, and who carried the biggest misdeed of all time when they crucified the Son of God…yet readers we’re commanded to submit to them. If the audience of the biblical books were tasked to do that, then we are to do so to the Philippine gov’t as well, under whoever wins today. Wow. Pray for the pagan city that holds you captive as a slave. Amazing. Shame on us, as free men, who lambast our local and national leaders when we should be on our knees, praying on their behalf. Pray for them, for if they prosper, we prosper. Let me end this entry by once again reminding you that although we are to choose our earthly ruler today, it is only because the true ruler of the universe and of this country has allowed it. The song we sang in worship service yesterday is so apt for this truth, a video of which I have below. God is the God of the Philippines and of Cagayan de Oro, and greater things are yet to come. May He bless the Philippines.